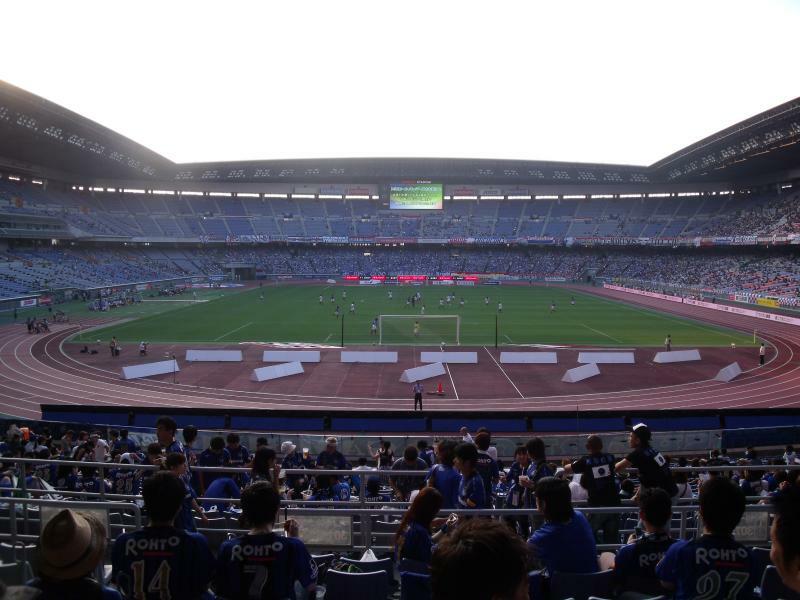 Nissan Stadium, also known as International Stadium Yokohama, is Japan’s largest stadium. Plans for the construction of the stadium were made in the early 1990s and building works began in January 1994. After almost four years the stadium officially opened on 1 March 1998. It had come at a cost of Y$60.3 billion. The Nissan Stadium served as the centrepiece of the 2002 World Cup, hosting a total of four matches, among which the final between Brazil and Germany (2-0). Between 2002 and 2004 the stadium hosted the Intercontinental Cup, and between 2005 and 2008 and in 2011, 2012, 2015, and 2016 the final of the FIFA Club World Cup. The Nissan Stadium is also regularly used for other sports events such as athletics, rugby, and American football. 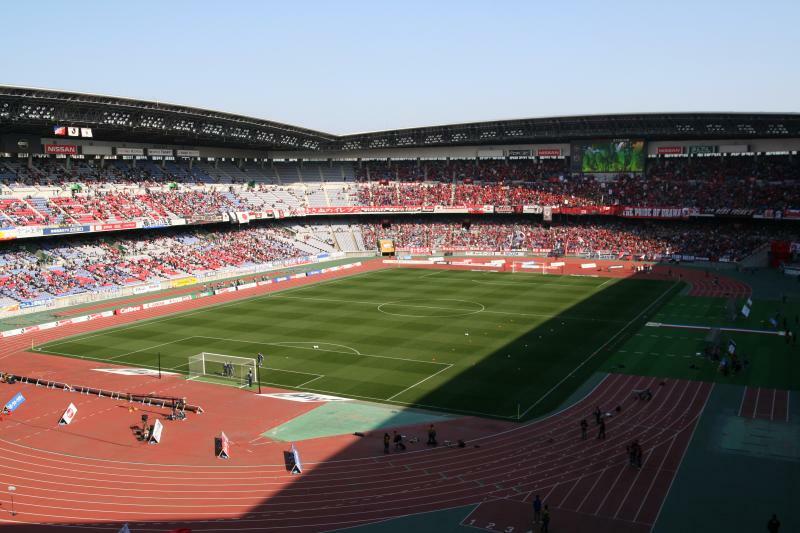 Nissan Stadium is located in the north of Yokohama, about 6 kilometres from central Yokohama and almost 10 kilometres from Yokohama Chinatown. The stadium furthermore lies about 25 kilometres south-west from central Tokyo. The stadium can be best reached by metro (subway). Station Shin-Yokohama lies a 10 to 15 minutes walk east of the stadium and can be reached with the blue line from Yokohama Station (or from Kannai station near Chinatown). The journey from Yokohama Station will take just over 10 minutes. The stadium is also served by overground trains on the Yokohama Line. Trains leave from Higashikanagawa station (just north of Yokohama Station) and less frequent from Yokohama Station. From Tokyo you can get directly to Shin-Yokohama station with the Tōkaidō Shinkansen high-speed railway line (which runs between Tokyo Station and Osaka). Shin-Yokohama is the second stop on the line with an estimated journey time of about 20 minutes. Alternatively, there is the option to get a train to Yokohama Station (JR Tōkaidō Line) and transfer onto a blue line metro. Tickets for Yokohama Marinos games can be bought online, or at the Tricolore One official club store in the centre of Yokohama. The store is located at 6-2 Minato Mirai, a 10 minutes walk east of Yokohama Station. Tickets can furthermore be bought at any Seven-Eleven, Circle K, Family Mart, Lawson, PIA, or MiniStop convenience store or online at their websites. Tickets can also be bought on the day on the gate of the stadium. 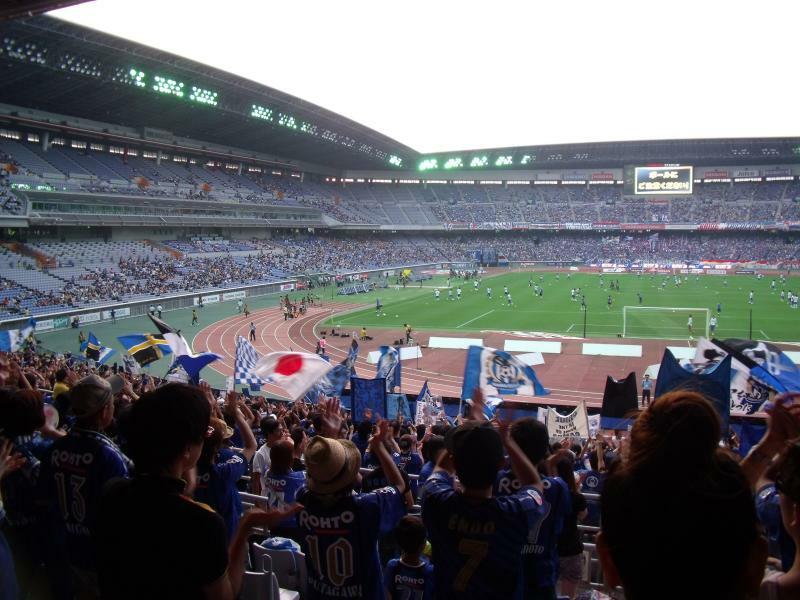 Yokohama Marinos’ attendances are amongst the highest in the J-League, but they rarely sell out. Ticket prices range from Y$2,500 for a general admission seat behind the goal or part of the side to Y$5,300 for an assigned seat at the main stand. Tickets are a little bit more expensive if bought on the gate on the day. 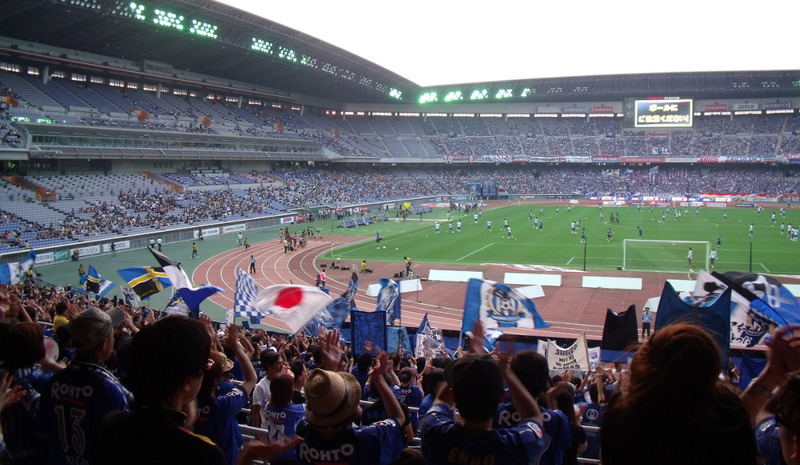 Yokohama Marinos may play the odd home game at the smaller Nippatsu Mitsuzawa Stadium. Nissan Stadium organises guided stadium tours that include the dressing rooms, players tunnel, VIP areas, and several exhibitions. The tours last about 60 minutes. Tours run multiple days a month, generally four times a day at 10:30am, 12:00noon, 1:30 pm, and 3:00 pm. Check the Nissan Stadium website for current dates. Bookings are not required, but can still be made by phone +81 45 4775000. The tour costs Y$500. F-marinos.com – Official website of the Yokohama F. Marinos. 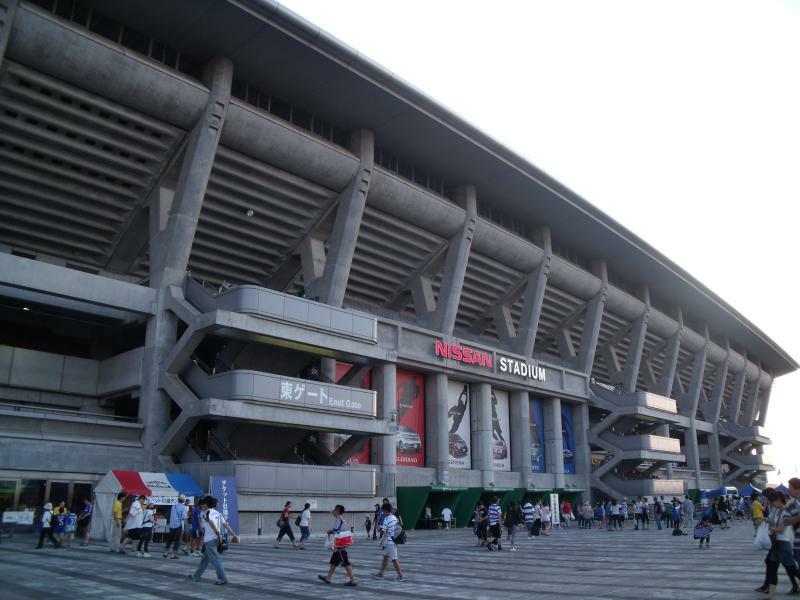 Nissan-stadium.jp – Official website of the Nissan Stadium. Yokohama.jp – Official Yokohama visitor’s guide. Yokohama.lg.jp – Yokohama public transport information.